Since calling at the bar in 2001 Gail has been instructed in a wide range of criminal and civil cases. Her principal area of practice is criminal law with particular expertise in financial and regulatory crime, POCA cases and sexual offences. Gail has a wealth of experience in complex cases. Gail has also been instructed in a number of medical negligence and personal injury cases. Her experience of medical negligence cases includes birth injuries of cerebral palsy and quadripligia.Her personal injury experience includes employers’ liability, occupiers’ liability, road traffic accidents and industrial diseases. 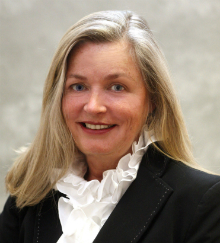 Gail has appeared for both pursuer and defender and has experience in high value cases.